< Select a menu item on the left. The IAGC is a professional organization, which supports its members to bring Generative Change work to the world. It is a “virtual hub” where many groups and individuals can come together, giving them a transformational opportunity to creatively collaborate, to generatively realize positive visions and through theses connections, to engage with the larger world. Another important function of the IAGC is to bring specific “technologies of generative change” into people’s conversational awareness and their skill base through its system of certification trainings. We are an international association, with Regional Representative Schools and certification programs in many countries. 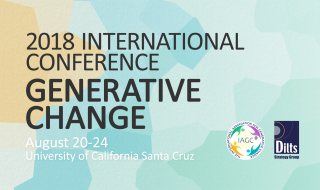 The IAGC is aiming to provide the structures and tools necessary to bring Generative Change work to multiple communities, including professional and cultural, throughout the world. Generative Change (GC) means creating something beyond what has yet existed, either in one’s personal or professional life. To “generate” means to create something new. Thus, the core focus in generative change is creativity: How do you create a successful and meaningful work life? How do you create great personal relationships? How do you develop a great relationship with yourself—your body, your past, your future, your wounds and your gifts? 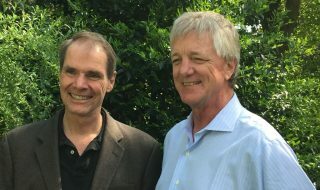 Robert Dilts and Stephen Gilligan first met over 40 years ago, while students at UC Santa Cruz. They each developed their own work in how to help individuals and groups create change. 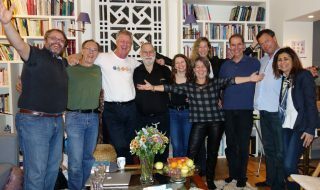 Around 20 years ago, they reconnected and began to collaboratively develop new ways to model, practice, and creatively use generative skills. The IAGC is an organization based on their work together. It is founded and organized to invite others to participate in further development of the work. Stephen and Robert met over 40 years ago at the University of California at Santa Cruz. 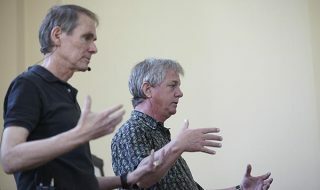 One of the passionate questions that both of them shared was: “What kind of world can we create, to which you would want to belong?” They were both part of the original NLP groups, and mentored under Milton Erickson and Gregory Bateson, among their many extraordinary teachers. 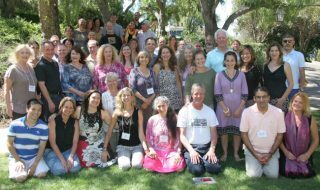 The vision of the IAGC is of a world where people around the planet are empowered and awakened to creatively meet the challenges of our time by living the principles of Generative Change. The mission of the IAGC is to provide the structures and tools necessary to bring Generative Change work to multiple communities, including professional and cultural, throughout the world. Our ambition is to start a movement that goes beyond us and far beyond our lifetimes. Our ambition is nothing less than to change the world in a positive way by helping to create a generative world consciousness. The role of the IAGC is to serve as a professional organization, which supports its members to bring Generative Change work to the world. This audio series by Dr. Stephen Gilligan is a exploration of the tools, models. principles and practices of the Generative Change work. 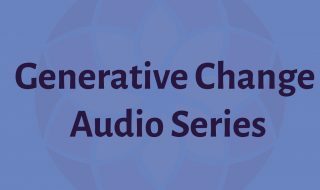 The series is divided into 4 sections and Part 1 is an overview of the 6 steps of Generative Change, exploring both Generative Coaching and Generative Trance. 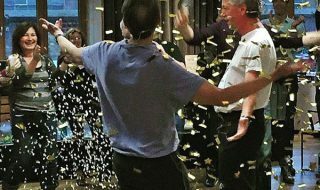 Part 2 then explores the COACH state through a series of experiential processes for you to work with both for yourself as the practitioner and as tools to explore with your clients. Part 3 is an in-depth look at the underlying principles of Generative Change and Part 4 explores how the Generative Change model can be used in specific applications. To make a living following one’s own passion is a dream of many people. That passion may be in the area of coaching, consulting, NLP, training, or some other product or service in which a person believes. This dream comes from the deep desire to feel that “instead of just doing a job, I am living my life.” Starting your own business, however, can also feel like quite a daunting task. There are many obstacles and challenges to face. People often hold themselves back out of lack of knowledge, fear of failure and other forms of self-doubt. In this seminar, noted trainer, researcher, and author Robert Dilts will reveal the critical success factors which enable individuals to live their dreams and at the same time contribute to making a better world through projects and businesses. The activities center around modeling yourself, learning more about who you are and identifying an entrepreneurial project that is an expression of your deepest passion connected to your vision for a better world.